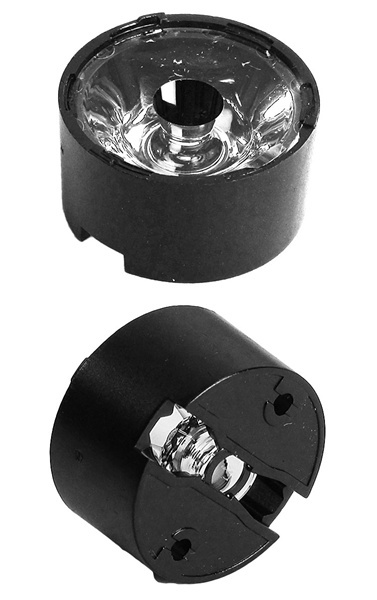 The Fraen 9° lens and holder assembly is compatible with all Luxeon Rebel LEDs and offers both a very compact footprint and 85% transmission efficiency. The lens is mounted into a black, flat bottomed holder making it very easy to secure the lens assembly directly to the PC board using TSE 3941 silicone adhesive. Fraen optics are manufactured from Optical Grade PMMA, and can be operated up to 95°C.